Just ten minutes before the close of the Champlain Mini Maker Faire, the last piece (the power supply) of the 3D printer was added to our communal 3D printer build and we all cheered as the glow of the green light indicated that the 3D printer was complete. Yeah! 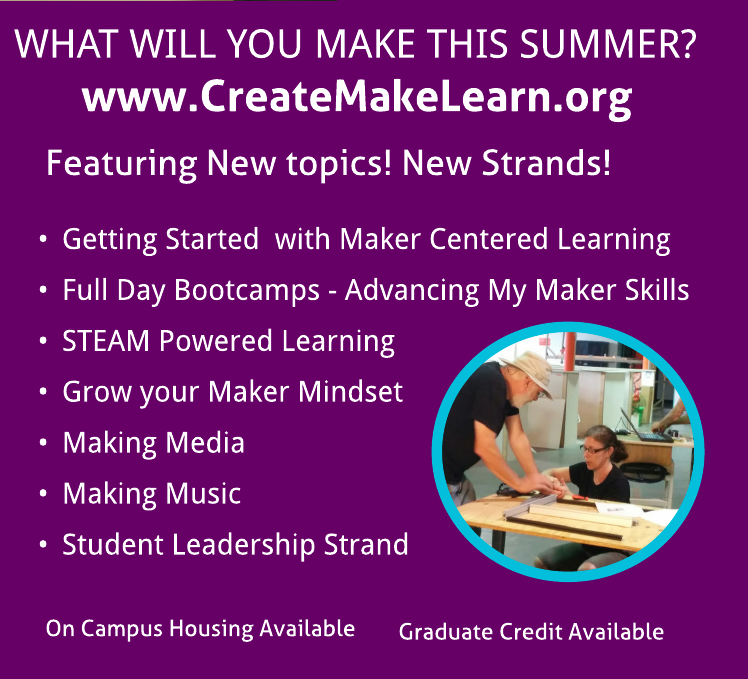 After mentoring several educators in building their own 3D printers earlier this year at the Create Make Learn Summer Institute held the The Generator this summer, Craig Lyndes and I had a vision that we could start and finish the build of a 3d printer at the faire and include as many people as possible in that build. Oh what fun we had. It was amazing to watch father/daughter teams; mother/son teams; father/son teams; mother/daughter teams; husband wife teams; students teams; and volunteers of all ages from Kindergarten students to retired engineers join us in completing the 41 steps necessary to turn a box of parts into a working 3D printer. We ordered our Printrbot Simple Maker Edition Kit a few weeks ago and opened the box at 10 A.M. Saturday morning at the Coach Barn of Shelburne Farm as the Champlain Maker Faire opened its doors. Jill Dawson started by sorting out the parts in our trusty egg carton, and we recruited the first visitor to walk by our exhibit to start cutting through the laser cut wooden pieces. 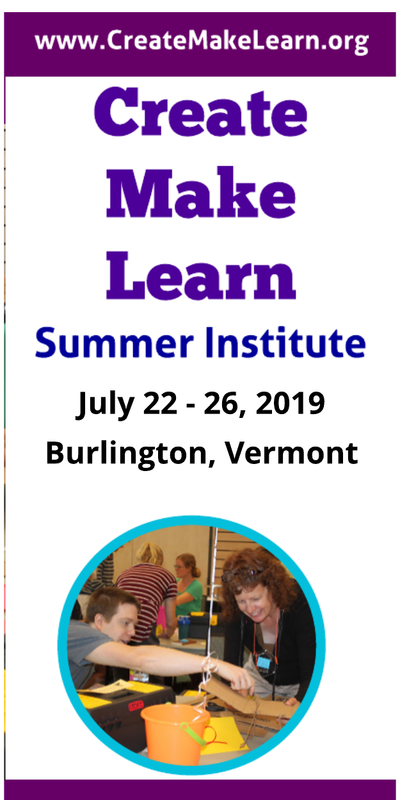 Williston Central School teachers, Julie Rogers and Leah Joly joined us to help build, document, and answer questions about what is happening with making in Vermont Schools. In the afternoon, John Cioffi and middle school students from St. Albans City School not only helped with the build, but brought their own Printrbot Maker Edition kit that they were in progress of building in their classroom. By the end of Day one several volunteers from the Maker Faire had completed about half the steps in the build. Many thanks to the educators from our Create Make Learn Summer Institute who volunteered to help run the exhibit which included the interactive 3D printer build, several 3D printers printing out various size artifacts, a library of books that can support making in education, Little Bits and Legos, students and their projects from St. Albans City School and Rosie's Girls and displays of the projects that several teachers made during our summer course. The next few blog post will dive deeper into what we learned from this amazing collaboration.